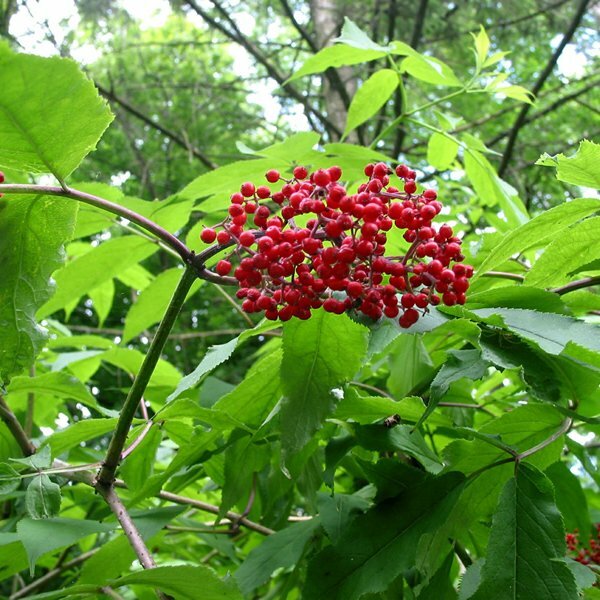 Lusciously clad in rich green compound leaves, red elderberry forms fluffy ivory flower spikes in spring followed by bright red berries in summertime. A deciduous small tree native across much of the northern half of North America, it suckers from its roots to form a thicket, and is dispersed by birds that eat the berries and spread the seed. 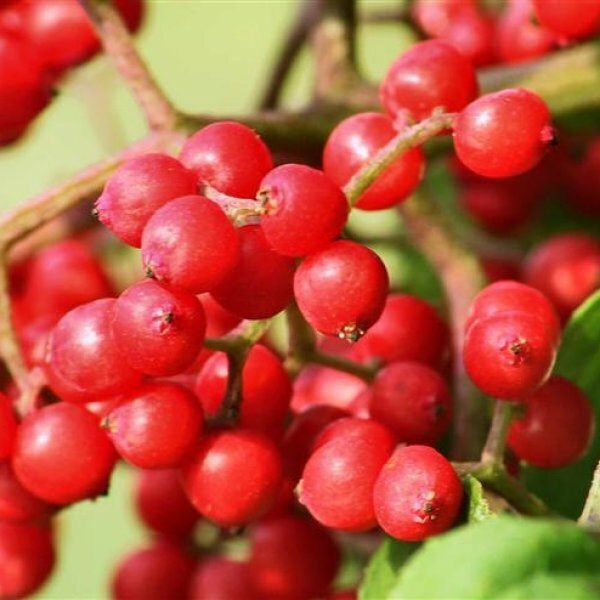 When it comes to human consumption, the fruits are not as palatable as other elderberries and even contain small amounts of compounds that cause gastrointestinal pain, though there are reports of the red elderberries being used in wine making and cooked jam. 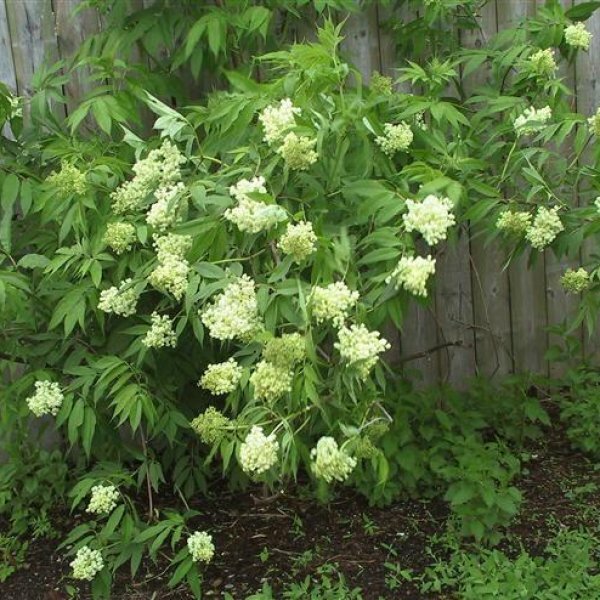 Like most Sambucus, this is a deciduous species. 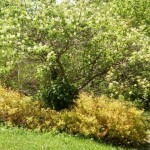 Its lustrous green leaves are compound and comprised of five to seven oval leafets with tapered tips. 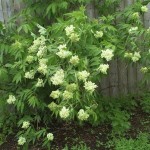 In mid-spring the branch tips bear fluffy, fragrant clusters of tiny ivory flowers that attract bees and butterflies. Attractive clusters of small red berries are produced by midsummer. These are highly attractive to a whole host of wild birds. The dormant leaf buds are purplish and contrast the ghostly sandy brown branches in winter. Germination You can plant the seeds outdoors in the fall and let them naturally stratify during the winter and they will germinate in the spring.<br /> But if you are going to sow it inside - cold stratification period is required.<br /> 1. Soak the seeds for 12 hours in warm water (~+30-+40C).<br /> 2. Mix the seeds with moist vermiculite or sterile sand, place in ziplock bag and keep inside in your fridge (+2-+4C) for 60 days.<br /> 3. After startification sow the seeds in pots on the surface of the moist soil. Cover lightly (1-2 mm) with vermiculite or soil.